Which three ingredients will make you a delicious breakfast? 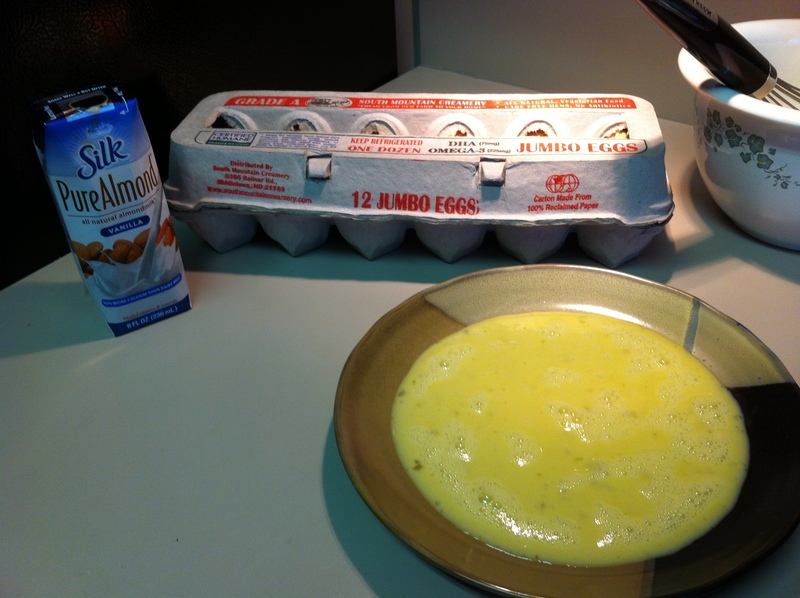 Homemade bread, eggs, and milk. I don’t even think I need to write out the recipe! You’ve already figured it out, right? In case you haven’t figured it out, I’m talking about amazing French toast. Now, maybe you don’t like to make homemade bread. Well, that’s just silly. But if that’s the case, you can find a great bakery and buy a loaf, or settle for some store-bought sliced bread. 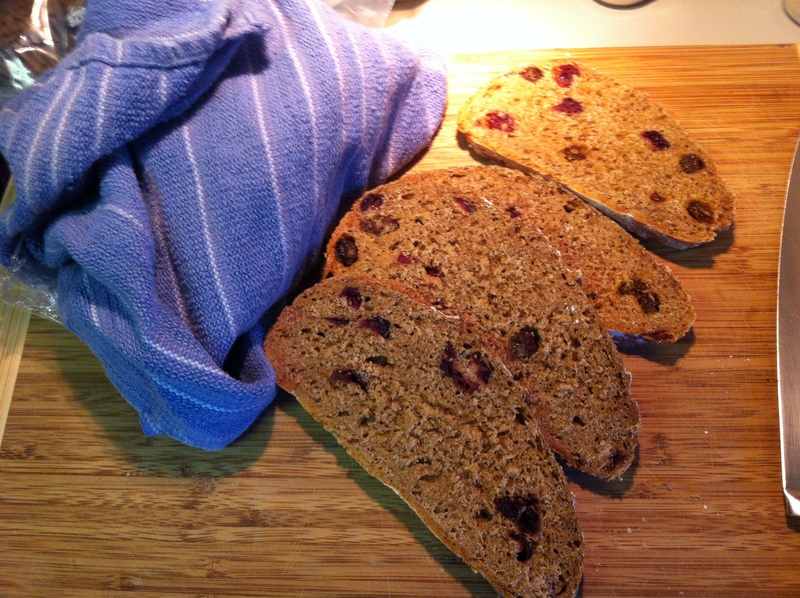 My loaf of homemade bread had dried fruit, almonds, and a touch of cinnamon and cardamon in it. Previous Post Previous post: Zaytinya–My Last Lunch in D.C. It looks really good. 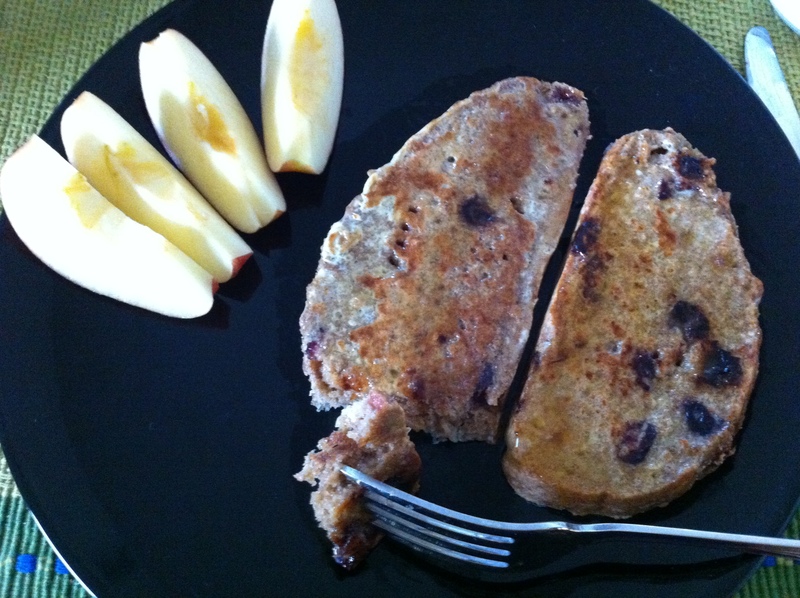 I sometimes make french toast for my kids but don’t usually eat it – it makes me sleepy!